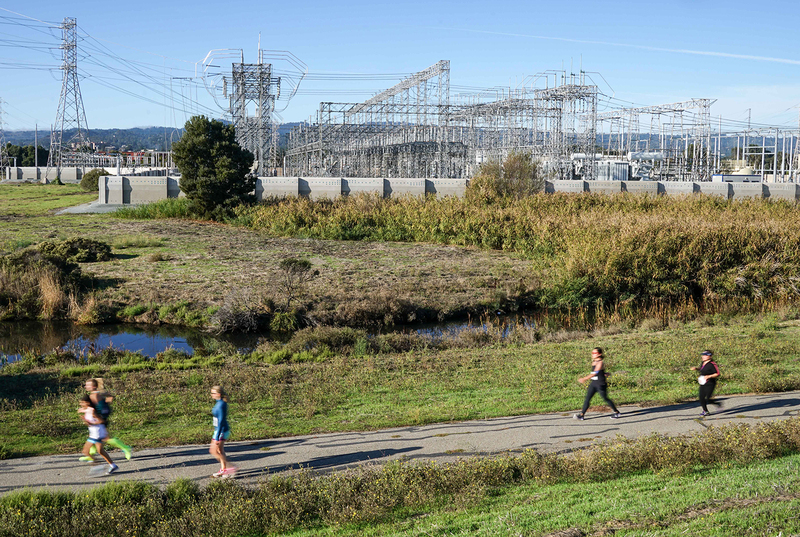 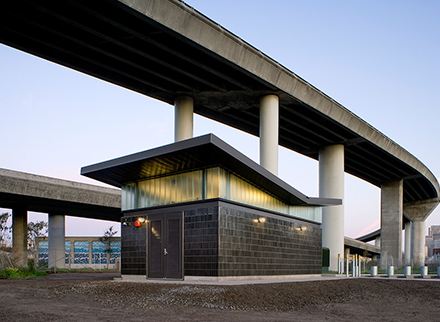 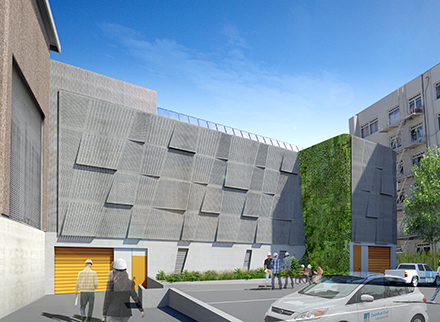 Bordered by the Bay Trail, a golf course, and a residential neighborhood, the design of a perimeter security wall enclosing the San Mateo Substation is inspired by the natural landscape and light throughout the scenic, shoreline site. 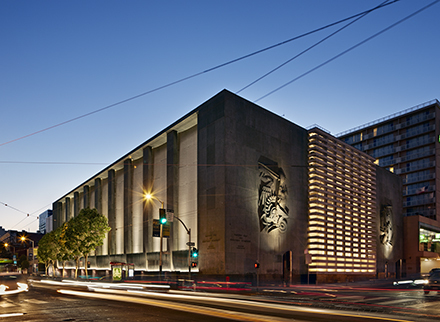 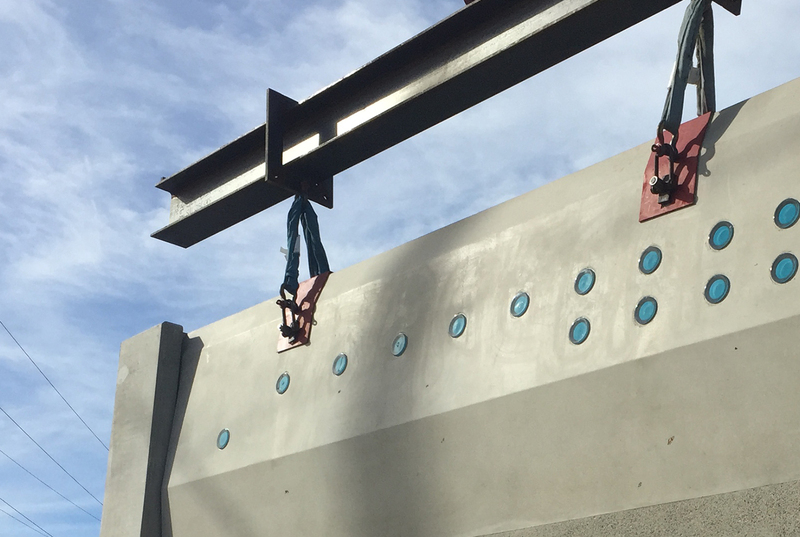 Its proximity to the bay – warranting 40-foot deep piles every 18 feet – led to a precast system. 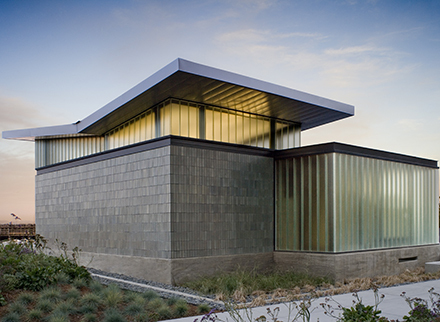 Its folded panels echo the undulations of the natural terrain and provide visual relief to the mile-long wall, with its interplay of light and shadow, while photo-glass wall inserts along the Bay Trail elevation glow like stars at night. 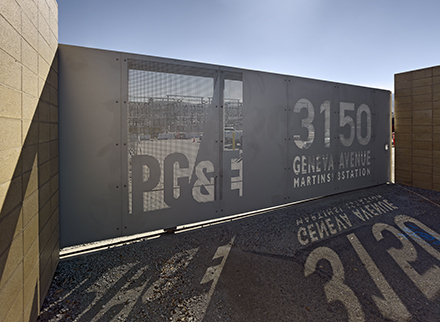 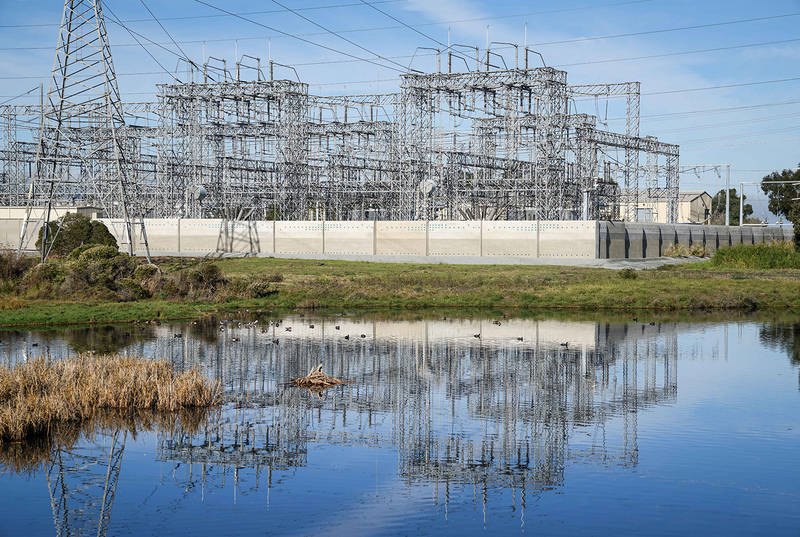 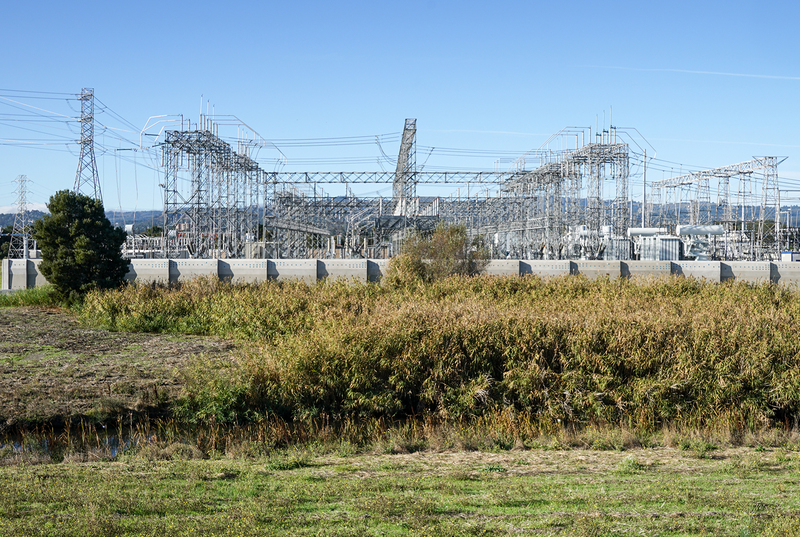 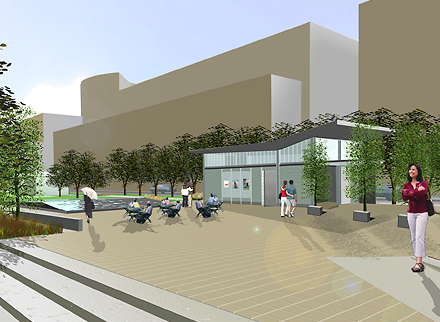 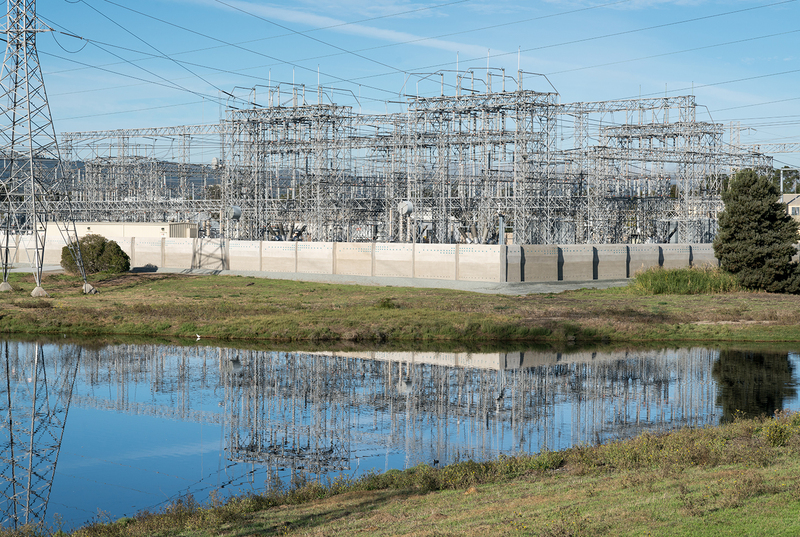 This project was the third in a series of improvements to PG&E substations by TEF, designed to meet the practical needs of the utility giant while enhancing the surrounding community.